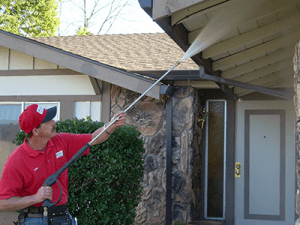 House Washing in Sacramento, California | Masters | Master's Window and Gutter Cleaning Inc. Washing your home is the next best thing to getting it repainted. House washing from Master’s Window Cleaning is the best way to clean delicate materials that cannot stand up to the intense pressure of traditional power washers. Using low-pressure heads and specialized pressure washers, we can clean almost any material on your property. Most pressure washers operate at 4000+ PSI, using a concentrated jet of water to blast away dirt, gum, and even graffiti. Their high pressure makes them a great way to clean durable materials like concrete, but it can damage more delicate surfaces like wood, brickwork, and some types of natural stone. In contrast, house washing can be used even on the most delicate materials – from painted metal siding, to asphalt shingles and even statues and other decorations. Master’s Window Cleaning specializes in pressure cleaning and house washing in Sacramento, El Dorado Hills, Elk Grove, Folsom, and Roseville. We’ve been in business since 1999, and have built up a reputation for affordability, reliability, and efficiency. Get more information about house washing below, and see how we can help you clean your home or business in Sacramento. What Is House Washing – And How Is it Different From Pressure Cleaning? Instead of just using high pressure to clean your home or business, house washing uses lower pressure, and advanced detergents to achieve similar results. PSI can be as low as 50 – just a fraction of the 4000 PSI of a traditional pressure washer. House washing is usually used to clean very delicate areas of your home. Masonry, siding, roofs, and decks/patios, etc. can be cleaned with house washing techniques. Because Master’s Window Cleaning offers both traditional pressure cleaning and gentle house washing services, we can help you clean every area of your property – from the most durable concrete driveways, to the most delicate glasswork, tiles, and masonry. 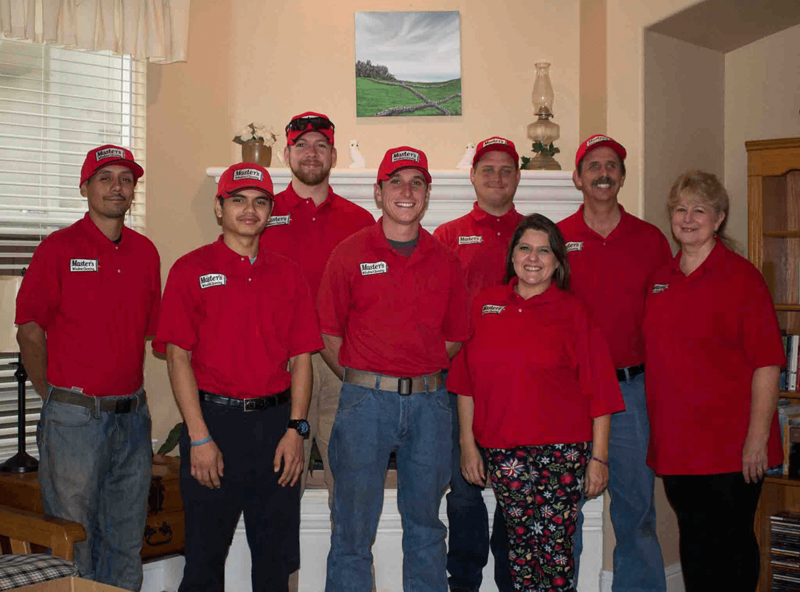 Why Choose Master’s Window Cleaning For House Washing In Sacramento? 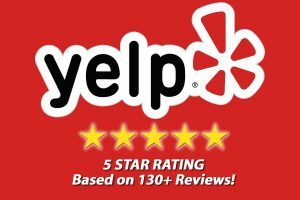 We’ve been in business since 1999 and have a great reputation in the area. Here are a few reasons we’re an excellent choice for your next cleaning project. We provide soft washing for residential, commercial, and industrial clients. Whether you need house washing for your home, or require soft washing for a multi-unit apartment complex, we can get the job done. We use advanced detergents that incorporate algaecide and other substances that inhibit microorganism growth. This helps protect your property from dirt and grime, and damage from mold or algae. If you are not satisfied with our services, we’ll redo your entire project. We do whatever it takes to keep you happy – that’s a promise you can rely on. Our cleaning technicians are well-versed in modern pressure washing safety techniques and best practices, and you won’t have to worry about any workplace accidents or damage to your property. But even if an incident occurs, we are fully bonded and insured – you don’t have to worry about liability issues. From smaller homes to mansions and multi-unit buildings, we do it all. So contact us now online, and give us the details about your project to get an estimate. 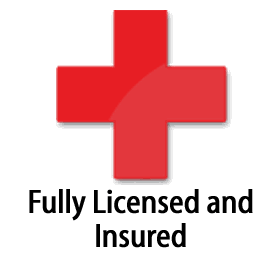 You can also give us a call directly at 916-844-6041. Don’t wait, and don’t settle for anything less than the best. Get started with our house washing services today! We are also the best Roof Cleaning Service in Sacramento! When it comes to maintenance and regular cleaning services, roofs often go overlooked. And that can be a real problem. As dirt, debris and algae build up on your roof, it may begin to look unsightly or unappealing – reducing your home’s curb appeal, making your property less appealing to renters, or even causing customers to turn away from your business. And roof cleaning doesn’t just have aesthetic benefits. Regular roof cleanings can actually improve the durability and longevity of your roof, and prevent costly damage that can require expensive repairs. At Master’s Window Cleaning, we offer pressure washing and soft washing in Sacramento, El Dorado Hills, Elk Grove, Folsom, and Roseville CA – and we specialize in roof cleaning with advanced soft washing techniques. 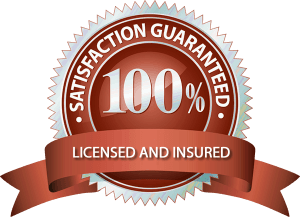 With nearly 20 years of experience in the business, and a 100% customer satisfaction guarantee, you can trust us to deliver fantastic service at reasonable prices. Keep reading to learn more about roof cleaning services – and why you need to get your roof cleaned right away!